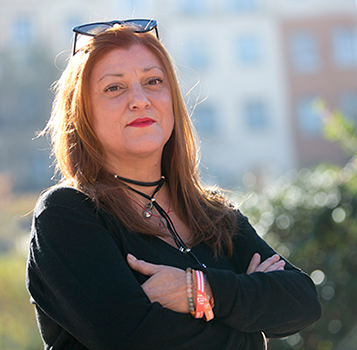 Founder of the Blueroom Project, María brings together knowledge, creativity, passion and 25 years of experience working as an advisor in corporative communications, marketing and advertising, for public institutions, corporatons and specialised communications agencies. BA in Communications and Foreign Trade Technician, she has designed and developed successfully communications campaigns for very high level companies and institutions: Tourism of Thailand, Tourism of Costa Rica, British Tourism, Irish Tourism, VisitScotland, Denmark Tourism, ICEP (Portugal Tourism), Tenerife Tourism, AENA, Pirineus, Vueling, Hurtigruten, London & Partners, Cathay Pacific, Qatar Airways, Skyscanner, HomeAway, Madrid City Council, Banyan Tree Hotels, Mandarin Oriental Hotels, The Rocco Forte Collection, The Oberoi Group, Travelodge, Cosecheros y Abastecedores, Naturhouse, Compañía Canariense de Tabacos and ACNUR, among others. Throughout the past years, she has been developing a wide and valuable network of contacts and connections in the press and media. Regularly she publishes articles about her clients in outstanding national magazines related to tourism and lifestyle.